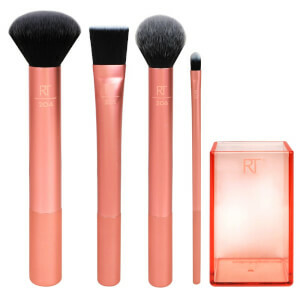 The Real Techniques Prep and Prime Set combines four must-have brushes for prepping and smoothing the skin ready for flawless makeup application. A firm brush with densely packed bristles designed for applying skincare products. Ideal for applying moisturiser, serums, masks or primers. 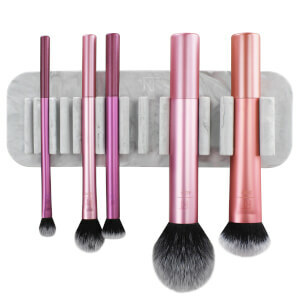 A textured brush that can be used dry to gently exfoliate for healthy-looking skin. Perfect for using with eye creams, it has a stationary aluminium ball to deliver a cooling under eye massage. Use in circular motions with your favourite lip balm or lip scrub to gently exfoliate and smoothen your lips.